Why would you want to be normal when you could be paranormal? Toy Fair New York Reveals: Ghostbusters! I have always been fascinated by the paranormal and true crime, so now I have a blog about each subject. I'm the author of For I Am Zeus: A Collection of Plays About Greek Mythology, Never Trust an Angel and Other Plays, Goat Herpes and Other Problems, Paranormal Jokes and Haiku, and Give Hell a Chance: A Book of Plays. I'm also the writer and director of the upcoming Godly Acres web series. Like talking about the paranormal? 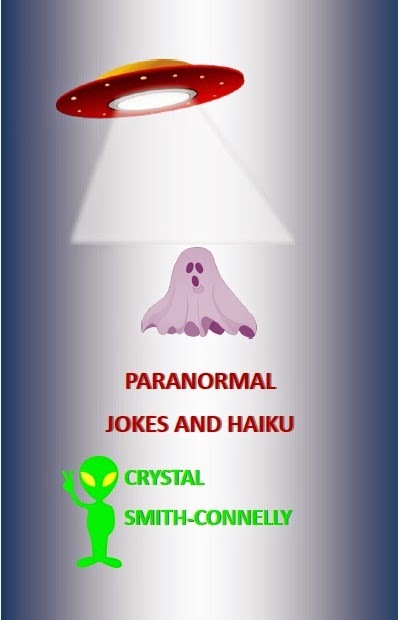 Come join the "Why would you want to be normal when you could be paranormal?" group on Facebook! Copyright ©2018 by Crystal Smith-Connelly. Simple theme. Powered by Blogger.